MEMPHIS, Tenn. - May 27, 2017 - PRLog -- The LGBTQ Tour of Color will kick off the tour at the Memphis Tri-State Pride on Saturday, June 17, 10 am to 1 pm, at the Crowne Plaza Memphis Downtown. 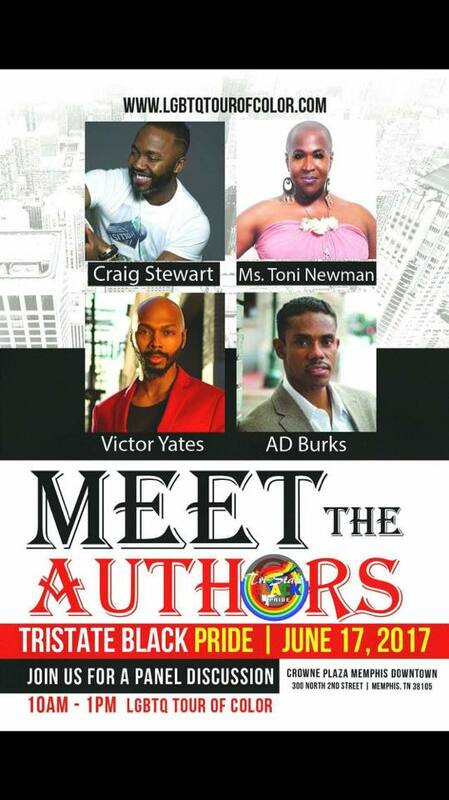 The LGBTQ Tour of Color includes Authors Toni Newman, Victor Yates, Armistead Burks and Craig Stewart. They will be reading passages from their books with open forum to follow.